Steyning & District Business Chamber. 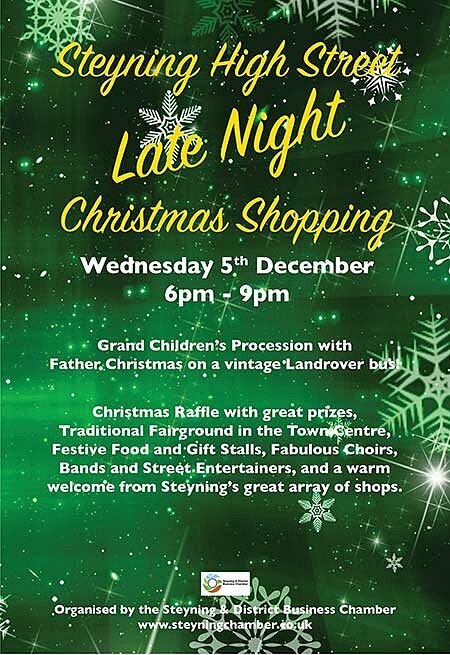 This wonderfully festive event will extend a warm welcome from all the shops that open on the night. There will be the traditional children's procession and carol singing. A fairground in the town centre car park, bright festive stalls lining the main street and loads of entertainment will set the stage for Christmas. Watch this space for the full programme.